Eric Pickles announces proposals to tighten up the publicity rules for councils so they guard against campaigning with public funds. In recent years there has been a major growth in the frequency and scope of council publicity techniques that use taxpayers’ money while local papers have struggled in a saturated news environment. 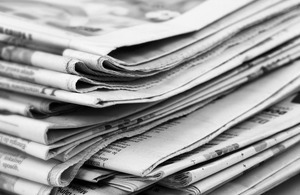 The new consultation proposes rules to stop municipal newspapers being published more than 4 times a year and to end the hiring of lobbying contractors. They also give more transparency and certainty to local authorities and political parties about conference stalls rules, for example, by distinguishing between the promotion of a local area for tourism purposes and the taxpayer-funded lobbying of politicians. “The rules around council publicity have been too weak for too long allowing public money to be spent on frivolous town hall propaganda papers that have left many local newspapers looking over the abyss - weakening our free press - or to use ‘hired-gun’ lobbyists that operate in the shadows to bulldoze special interests through.